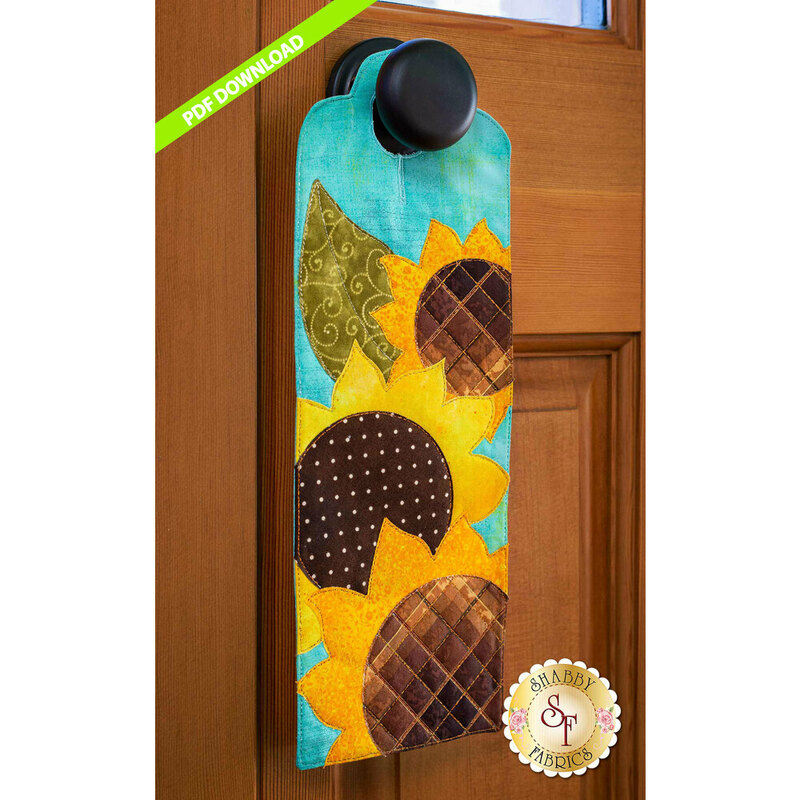 Decorate your door with sunflowers in full bloom on this applique A-door-nament for August! Welcome family and friends into your home with the Shabby Fabrics exclusive A-door-naments! Finished wall hanging measures approximately 5" x 14¼".